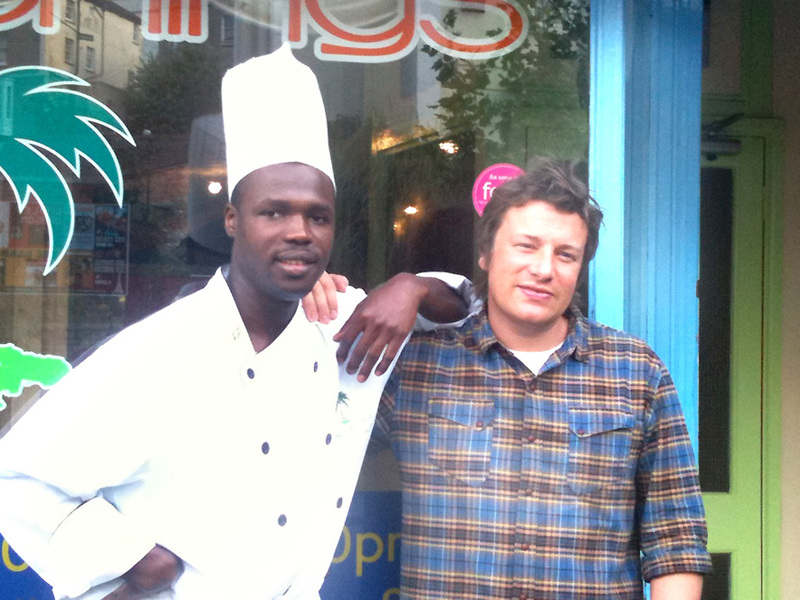 In 2010 Jamie Oliver contacted Chef to ask if they could meet. 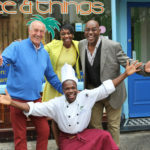 Jamie had heard about Rice & Things restaurant and wanted to feature Chef in his forthcoming TV series. He also wanted to spend some time talking to Chef, watching him cook and learning to understand his culinary viewpoint. 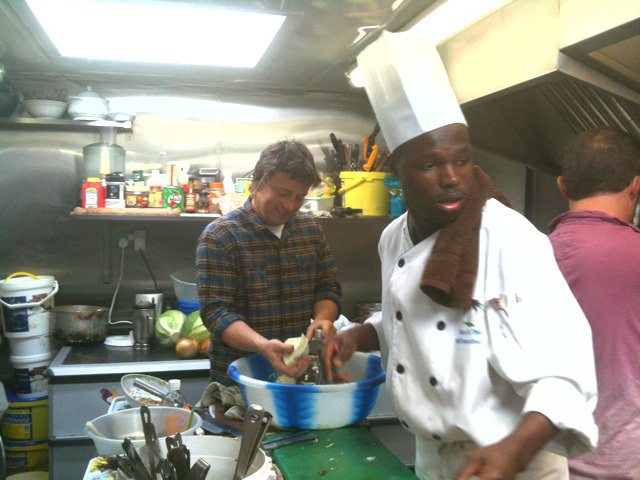 Jamie came to visit Rice & Things with his team, filming Chef cooking a variety of traditional Jamaican dishes including saltfish, peppered steak, oxtail and hominy porridge. Throughout the day Jamie and Chef exchanged experiences and chatted. Chef talked to Jamie about his own personal journey, his political views, and his wish to see a future legacy to improve the lives of young people. 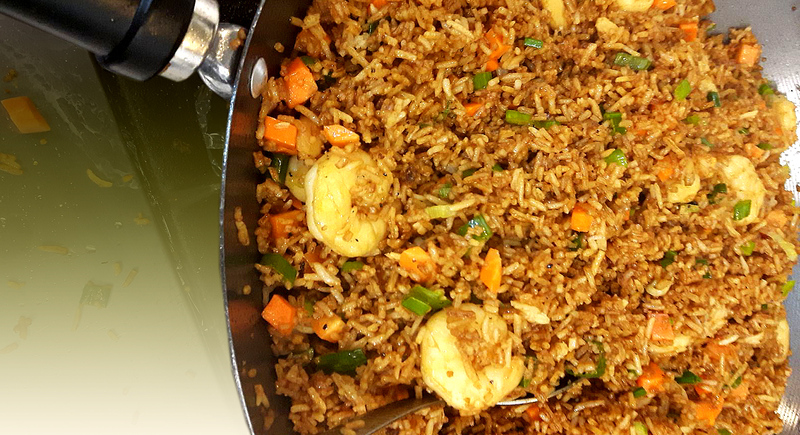 They found that they shared the same perspective on many of the important issues of life, finding many similarities in their culinary passion and their wish to create a lasting legacy that would improve people’s lives. 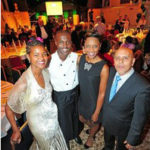 Chef said of Jamie: ‘He’s an amazing guy, who is looking for a better future for generations to come. The diversity of his thought and work both attracts and inspires me’. 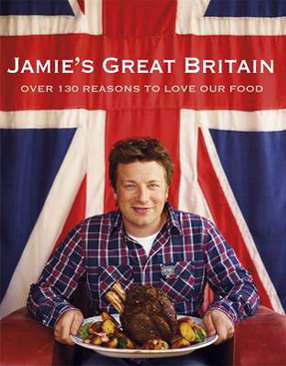 Jamie has recently launched his latest book “Jamie’s Great Britain” which classes Chef’s food as a new British Classic. The book accompanies a series by the same title which was broadcast on 20 October. 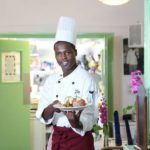 Rice & Things is a quaint and intimate restaurant that offers a Jamaican all u can eat buffet at the end of each month which I went to. The buffet was amazing and I would recommend trying every dish. I had a fantastic cocktail with the meal and the staff were very friendly with the DJ offering a selection of good vibes in the background. Next time I am in Bristol will definitely visit Rice & Things again. Food was delicious and fresh. Large portions. Service was also good.